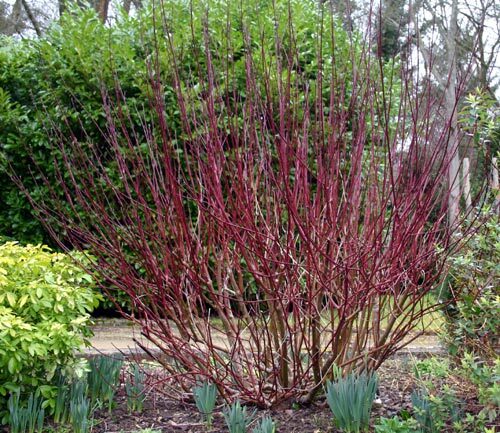 A few months ago I published a post showing how I had ruthlessly pruned a dogwood shrub in my garden. 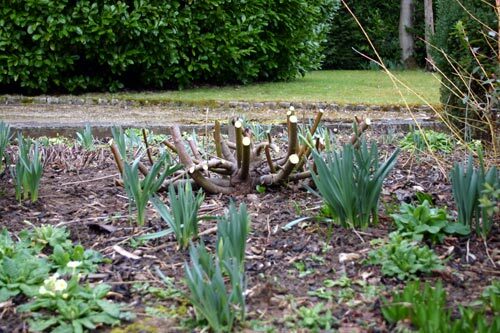 Some sensitive readers were concerned that I had been too brutal, and had in fact murdered the dogwood. 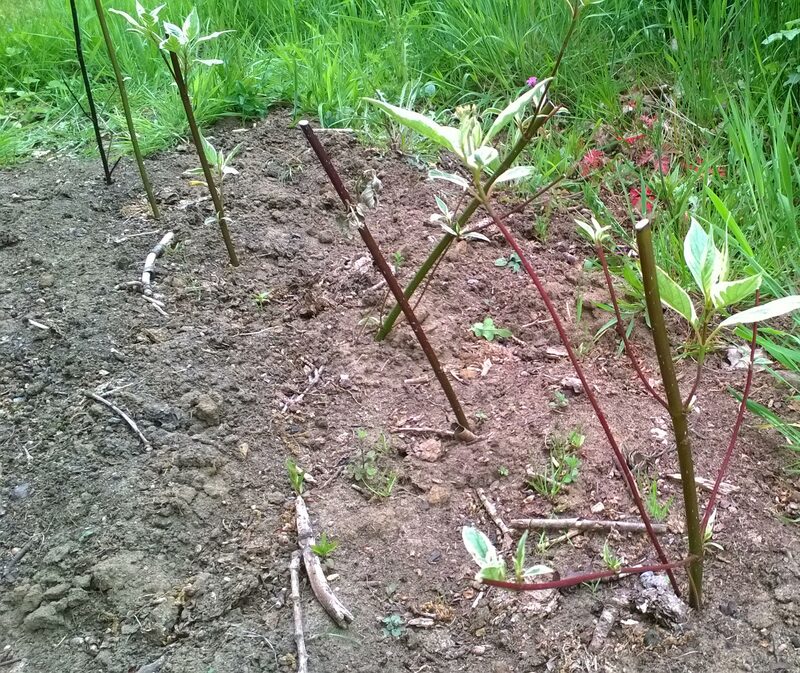 Here, I want to present some photographic evidence that the dogwood came to no harm and in fact has given birth to new life in a spectacular way. So it’s a happy ending after all. 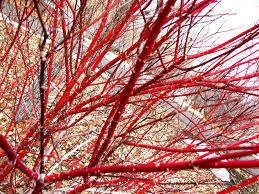 In the autumn I’ll be able to plant on the new shrubs, and in the years to come there will be ten dogwoods in our garden and ten times as much pruning to be done each spring! 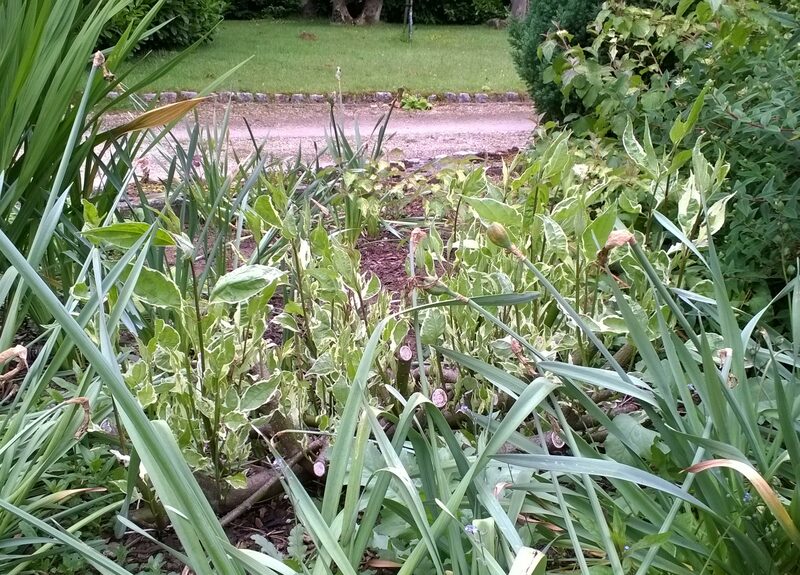 This entry was posted in Life and tagged Gardening, Happiness, Work. Bookmark the permalink. Brilliant mate. Thats what I like about gardening – free plants! Dog woods do look fantastic as well. Shame about the extra work pruning the bloody things though. My plan is to train the kids to do all the hard work. So far the plan isn’t working. Hahaha. Same here. All my kids ever seem to do is destroy all my plants playing football, cricket or basketball and then eat everything in the fridge! At times, I wonder what takes more time and effort – to train the kids to do something or to do it myself. What we see above the ground is only a smaller part of the plant. I cut the rose bushes in my front yard as close to the ground as I can every winter. They only grow better. Can’t say that about my hair. Hair does peculiar things as we age – stops growing where you want it; grows in places that it really ought not to. Ought and is are always at odds. Your “sensitive readers” must not know much about plants! My dad was really into vegetable gardens (half the backyard), and my mom was really into roses (a whole side of the house), so I know about pruning. But I have a “black thumb” so plants and I mostly just stay away from each other. There are of course plants that should not be pruned this hard. I found that out the hard way. I don’t understand the statement, “In the autumn I’ll be able to plant on the new shrubs.” Is that a British way of saying something? I’m sure you know that autumn means fall, so I assume it’s the “plant on” part that’s the problem. It basically means to dig them up and move them to a permanent location once their root systems have established. Yes, “plant on” is an unfamiliar term in the U.S. We say transplant. I’m glad that both the original plant and the cuttings are doing so well. I am rather heavy handed with pruning shears as well. My theory is, as long as you have roots, the plant will always flourish. A good whacking is sometimes what a plant needs to rejuvenate. Uh, I live in the US, and say plant. Maybe the fancy gardeners say transplant. Ooo, that’s true, I don’t prune evergreens. We don’t have many out here really, well at least in my garden except for the monstrously huge Sequoia that’s a gazillion feet tall. Too big to get to. Give me a deciduous tree any day and I will prune away.